— More than 55 years on the London stage and still going strong, Agatha Christie's classic whodunit is a West End institution. 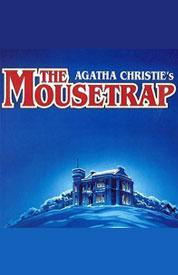 Agatha Christie's murder mystery The Mousetrap has played continuously in the West End since 1952. A London institution, the show centres on a group of travelers stranded at Monkswell Manor, who they learn that a killer is on the loose. As the snow piles up, dead bodies begin to surface and the unsuspecting guests begin to realize that they have a murderer in their midst. More than 55 years on the London stage and still going strong, Agatha Christie's classic whodunit is a West End institution.